CBS Outdoor Americas announced on Monday that it had agreed to acquire outdoor advertising businesses from Van Wagner Communications for $690 million in cash. The acquisition comes just four months after CBS Outdoor was spun out of CBS, the broadcaster and owner of Showtime. Its shares have risen 18 percent since the initial public offering in March. 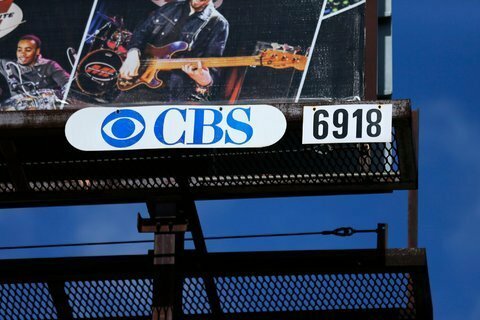 CBS Outdoor is buying 1,100 large format billboard displays in 11 large markets in the United States. Total 2013 revenue from the acquired assets was $206 million. “After having spent more than 40 years building Van Wagner’s outdoor advertising business into a leading industry participant, I am delighted to be turning this division over to CBS Outdoor,” Richard Schaps, chief executive of Van Wagner, said in a statement. He added that the company would now focus on its sports and entertainment business and its blimp and aerial division. CBS Outdoor plans to finance the transaction with cash on hand and proceeds from the issuance of additional long-term debt. Outdoor advertising is a fairly fragmented market. The chief rivals of CBS Outdoor are JCDecaux, Clear Channel Outdoor and Lamar Advertising. In an interview with DealBook in March, Jeremy J. Male, chief executive of CBS Outdoor, hinted at possible acquisitions to come. Centerview Partners, Goldman Sachs, Peter J. Solomon Company and the law firm Jones Day are advising CBS Outdoor. Wells Fargo has provided committed financing in support of the acquisition. Evercore Partners, Onera Media and the law firm Fried, Frank, Harris, Shriver & Jacobson are advising Van Wagner.